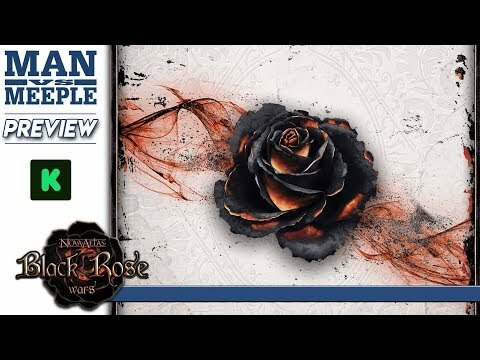 Black Rose Wars társasjáték - Magyarország társasjáték keresője! A társasjáték érték! A Black Rose Wars egy remek társasjáték, 1 - 4 játékos részére, az átlagos játékidő 1.5 óra. A társast, 14 éves kortól ajánljuk kipróbálni. A játékmenet erősen épít a moduláris tábla, a váltakozó képességek, a kampány/harci kártya vezérelt, a pakli tervezés és a terület mozgatás mechanizmusokra. 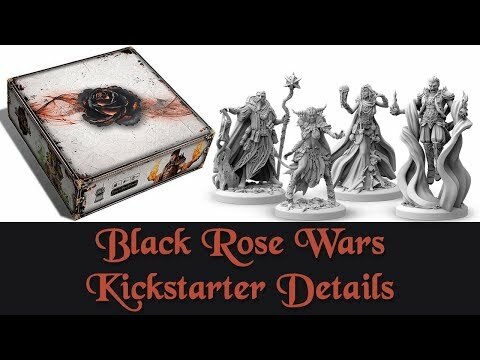 Black Rose Wars is a fantasy board game for 2 up to 4 players. Each player becomes a Great Archmage, Lord of a Magic School and can build his own grimoire with a vast choice of spells to fight, solve missions, survive and win in a modular customizable arena. Combining the deck building and wargame fighting mechanics, the game introduces also a unique system of strategy planning. 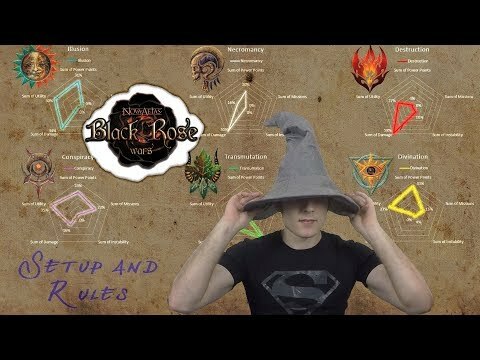 Every Player in Black Rose Wars is one of powerful mages of the Black Rose Order willing to become the new Supreme Magister to acquire the mighty power of the Black Rose Artifact and the Forgotten Magic. 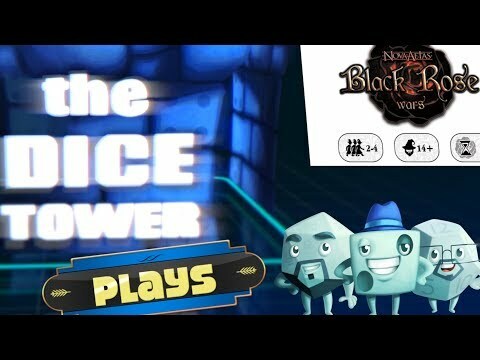 Mages must fight, fulfill Black Rose desires and gain strength with their spells until their power reach the containment threshold of the prison where they are exiled and be finally free. Every Mage has at his disposal 6 schools of magic, each one with its own strategy to annihilate his opponents and increase his power. At the start of the battle mages starts with a grimoire of 6 cards; the grimoire will be increased during the fight studying more spells for the 6 schools of magic. Every spell in Black Rose Wars has the peculiarity to have 2 completely different effects that will increase adaptability in fight. The mages, during the turn, will prepare their enchantments choosing which one they want to resolve in that particular situation in order to obtain as much power as possible. The mage that has obtained the most power at the end of the battle will be crowned worthy successor and Supreme Magister of the Order by the Black Rose itself. 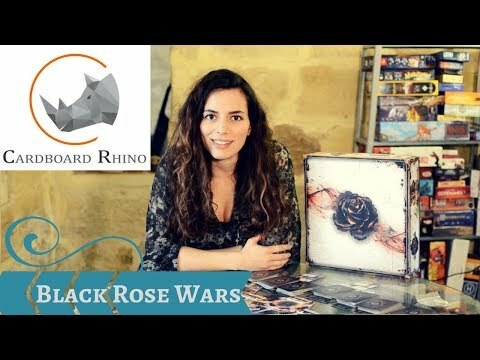 Black Rose Wars is a fantasy competitive game of deck building, strategy and combat set in the hectic universe of Nova Aetas in Italy. Mages/Playes fight each others in a modular arena of hexagons called rooms, they summon powerful creatures, cast destructive spells or devise dark deceptions with their enchantments. Game system is divided in different phases: every turn, after new spells are choosen from the 6 school of magic, players plan their strategy in advance placing covered cards. 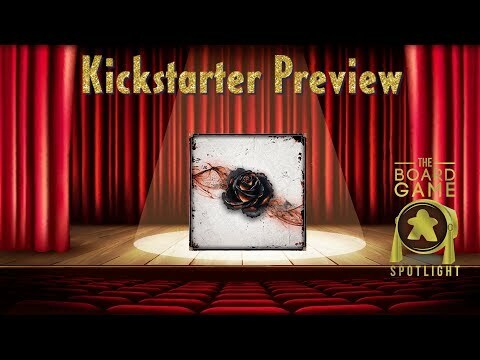 Later they reveal the played cards to kill each other, solve missions, summon creatures or destroy the prison room's, one against each other and against the Black Rose (the playing system). Immediate reborn after being killed gives the mages the possibility to get immediately into the fight again, even if their kill granted power to the participating mages of their defeat.